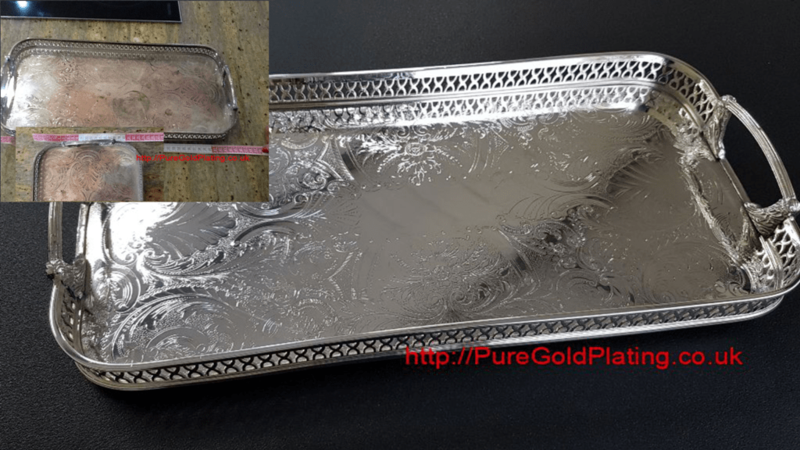 Silver plating is often used for antique restoration. 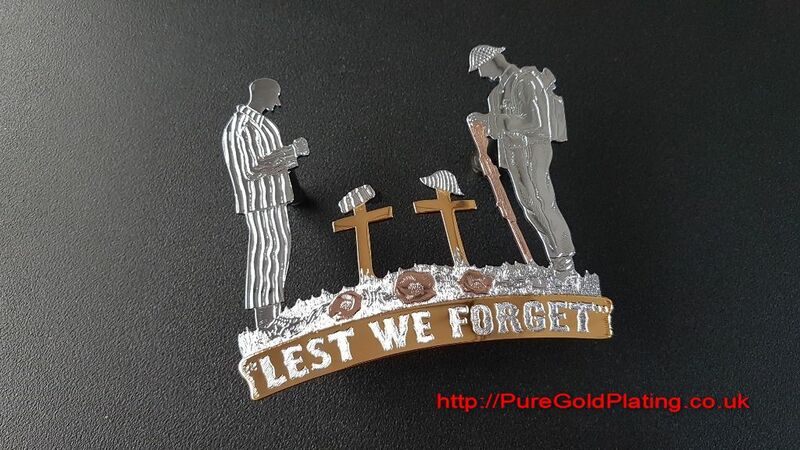 We also electroplate many items where the plating has simply worn prematurely. Modern items such as candlesticks, trophies & rings being most popular. Silver plating deposits a thin layer of silver onto an electrically conductive surface. The surface allows a current to be passed through it to form a complete circuit. The silver particles in the electrolyte solution then bond to the item being electroplated. The item being silver plated is also referred to as the cathode. For decorative purposes on items with minimal handling 2 microns would be applied. The normal thickness we apply on most items would be between 5 & 10 microns. Dependent upon the item & its intended use a thickness of more than 80 microns can be deposited. 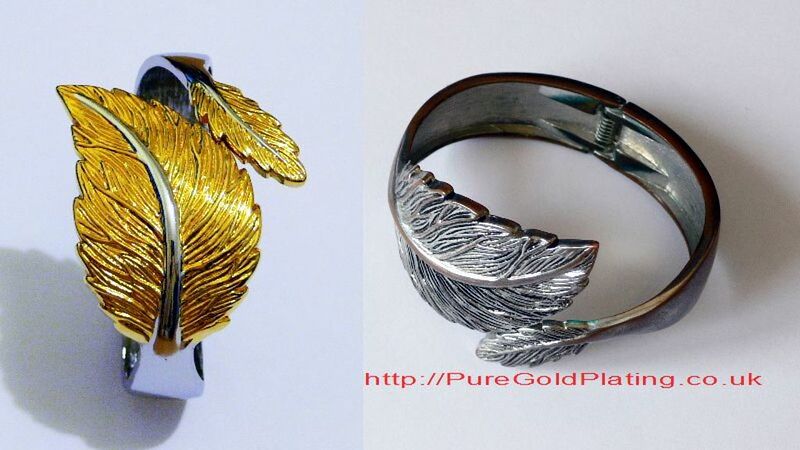 Silver plating is more resistant to tarnishing above 5 microns. A thickness of just 5 microns is often more than adequate for the long term durability of most items if cared for properly. 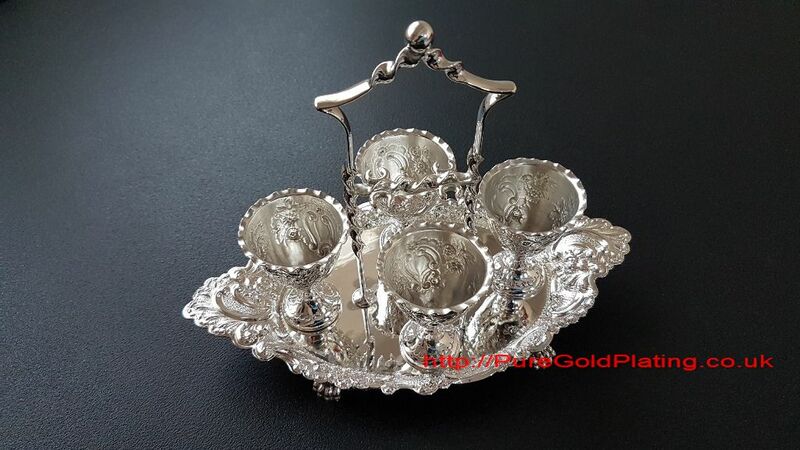 The cruet set in the image below was silver plated by us. This arrived in a very poor condition and had to be cleaned before being given a full polish. 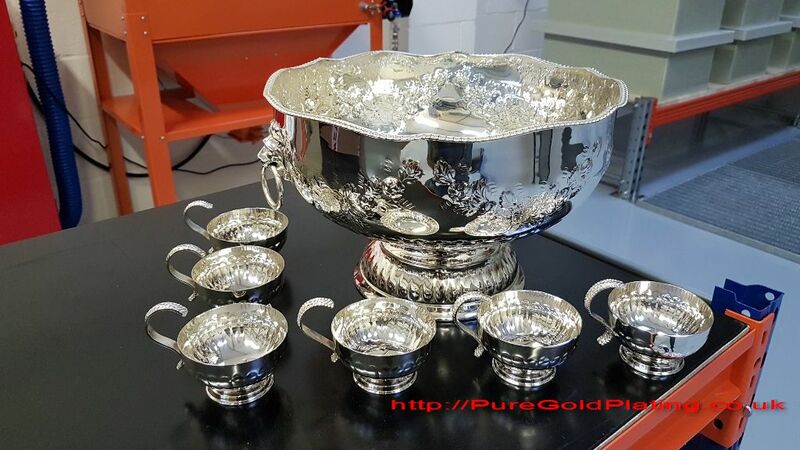 Further cleaning was necessary before the silver plating process was completed. We have many more examples in the gallery. For a silver plating quotation or any questions please contact us.